My mom died just over a week ago, on Thursday January 21st. I think it was around 7:40 pm in the evening. I was there sitting beside her hospital bed holding her left hand with mine and rubbing her head with my right hand. Her breathing was getting irregular and I wanted my brother and dad to hurry the hell up and get to the hospital, but mostly I was concentrating on my mom. Her breath. Her hands. How hot her head felt beneath the short bristles of her hair. Under her blankets, I tried to ignore how purple her skin had turned and how cold it was to touch. So I stroked her head and talked or just watched her mouth until she just stopped breathing. I held my breath thinking it would start up again like it had been going for the past few minutes. Stop and start. Stop and start. Stop. I remember locking eyes with my husband who was also in the room with me, rubbing my back. And then I started crying deep sobs. My mom, who had battled an intense two and a half year long journey with an aggressive brain tumor, was finally free. Her last breath was gentle and it was over. No more suffering. No more frustration because she had lost the ability to communicate with words. Peace, finally. Two and a half years ago. That’s when it all began, this bolt out of the blue. A brain tumour. Cancer. Why my mom? My maman was strong, she was friendly, she was devout. She was also 12 years younger than my dad – she shouldn’t have to face death this early in life. She still had so much living to do. It just seemed all so wrong. One day she woke up and couldn’t move her arm. The doctors didn’t know what was wrong, but an MRI revealed a brain tumor. Cancer sixty years in the making caused by some ill-conceived radiation treatments my mom received to remove ringworm on her scalp when she was just six years old. The tumor was large and aggressive and the doctors had said that my mom had only months to live. It paralyzed the right half of her body and she lost most of her ability to talk. And my mom loved to talk and laugh and she could do so in both English and French. When I’d phone her hospital room, some days she was full of pep and wellness and the conversation flowed well. Often she’d lapse into French, her mother-tongue, and I’d try to follow along as best I could. Near the end, however, talking on the phone to her was difficult. Most times she couldn’t even murmur or sob, there was just silence on the other end of the line. It was a hard illness and my mom was brave. She was never afraid of dying. There is such a strong connection between me and my mom. We have that same gap between our teeth and our eyes are big and we both laugh and smile a lot. During the funeral, people told me how much we looked alike. My mom taught me to cook and to love cooking. She taught me to be independent and do what I love. My mom was a worrier (aren’t most moms?) yet she loved my sense of adventure and encouraged my creativity. The happy, joyous memories I have of her when I was a kid, of us at the cottage, of her baking tourtiere at Christmas because it was my favorite, already have the curled corners of time passing. Right now, the images I have of my mom are of her illness. My mom having trouble walking. My mom being so small and frail. My mom getting frustrated because the words wouldn’t come. But while she struggled – and she struggled hard, she still was at the same time, the very same person who loved to sing, who still worried about everyone else, the one who smiled brightly. But there is joy in this story. Three days after I arrived in my hometown, my mother became a grandmother. My brother (the baby in my mom’s arms in the photo above) and his lovely wife gave birth to a beautiful baby girl. Initially, I was worried about the timing of things, but it turned out to be the best gift ever. My mom smiled when she met her granddaughter and I believe it was what she was waiting for. Now, she could die knowing that we’d all be alright. There’s a new part of the family now to love and to hold and to take care of. It’s funny how things work sometimes. I’m back home in Vancouver again with my work and my husband and the familiar walls of our apartment, yet I feel off. Unbalanced. Something is amiss and it’s not something tangible that I can shake off just yet. My mom is gone. She’s not in pain, she isn’t struggling, she isn’t just a phone call away. She is gone and I feel empty. I don’t miss her yet. It just feels too raw. Instead I feel like I’m drifting and bobbing along in a fog. This isn’t an easy post to write. Part of me wants to keep quiet and bundle up my stories and my family and keep things private. But mostly I want to talk, write and explain. People tend to shy away from death, from asking questions and I want to shake my friends and tell them that it’s good to talk. I need to get things off my chest and I need to feel that sense of community and togetherness. So there’s no recipe. No pictures of food. It will come. I just need a bit of time. Time to shake off the fog or maybe just to dwell in it for just a while longer. Oh, I am so sorry. I had a feeling when I hadn't seen a new post by you that this might be why. I am glad you got the chance to be with your family and perhaps even be a little prepared for this. This was lovely to read though sad. And congrats on the new baby in your family, what a sweet moment. I lost a good friend & my grandma right before Christmas, it made the holidays hard for sure as it just didn't feel the same. Take care. Moms are a beautiful gift and precious commodity. May she continue to be with you smiling and happy every time you cook and kiss your children. Thank you for sharing a little bit of her with us. Ohhh… I am so sorry for your loss… I lost my Mom in a similar fashion nearly 14 years ago and while it never gets easier, you simply learn to cope with the loss. I am so, so sorry for your loss. Thank you for sharing this with us, and know that you and your family are in our thoughts. oh, there are no words. i'm so sorry for your loss. i have no idea what i would do without my own mother. thanks for sharing so openly. but your words! oh your words….they would make any mother proud to have had you has a daughter. my thoughts to you and your family. I am so, so sorry. Thank you for sharing this with us – lots of people who have never met you or your mother will be keeping both of you in our thoughts. So sorry. I lost my mother too. Remember she is still watching over you. I have felt her presence often since she died. Peace to you. You wrote this post with so much strength – we can only imagine how difficult it was. Take all the time you need, knowing that we are all keeping you in our thoughts. I am so, so sorry for your loss. Thank you for sharing this beautiful reflective essay, though; it helps me to see that the experience of loss truly is universal and that none of us are alone in our grief. Best wishes. I'm so sorry for your loss. There are many comforts to be discovered, though, in time. Your memories of your maman, the ones you thought you'd long forgotten, will be sparked by the tiniest things. A song, a look, a scent, and you'll find so many sweet times that were locked inside your brain are yours again, this time to hold onto forever. Food is comfort. There will be recipes that bring you back to your childhood, and foods that make you feel less lonesome and fill up some of the aching spots in your heart. It sounds like your mother was a wonderful woman who inspired the confidence and depth of spirit in you that will get you through this. Bless you and your family – this was a beautifully written tribute to your maman. I hope you find peace soon. what a beautifully written post, full of love and emotion. jeanette, i am so sorry for your loss. i hope that you find what you need to come through the fog, and know that your memories of your mom will be with you always. That was a beautifully written post, so full of tenderness and love. Your maman would have been proud. What a beautiful tribute to your Maman. I'm both sorry for your loss, and happy for the new baby in your family. Best wishes for peace and comfort. I don't know you or your mom, but can't help but think she must have been so proud for all of the loveliness you bring to strangers and friends all over the world. I'm so sorry, Jeanette. Take all the time in the world, and we'll be here when you get back. Oh sweet kickpleat, I'm so sorry for your loss. It's very brave of you to share something so sad and deep with us. Words never seem like enough when the grief and sadness is so big that it could swallow us whole. Please take your time, take care of yourself, and know that I am thinking of you. I'm so very sorry for your loss. Your words of love and memory about your mother were touching and I am grateful that you shared them with us. Kind thoughts to you and your family. I'm so sorry Jeanette. That was a beautiful and heartbreaking post to read. Take careful care. my heart of heart thoughts to you in remembering your mother as you should. I am so sorry about the loss of your mother. I hope the fond memories fill the loss you are feeling. So sorry for your loss. Before I read the post I immediately thought how much you look like your mom. Same impish eyes and smile. I'm so sorry for your loss. I lost my mother to a very aggressive brain tumor 23 years ago. Three weeks later I met my future husband. I think our mothers will always be there for us until we are able to be with them again. My thoughts are with you and your family. This is a beautiful story, and am truly sorry for your loss. Your mother sounded and looked like an amazing woman who molded you into the person you are today. And ofcourse, congratulations on being a brand new auntie. It is certain that your mother lives on in her. Oh, dear…Jeannette. I can't fight back the tears any longer. I'm very sad right now. I read your very touching post several times before I could actually begin to type. I could not see my monitor. Take your time to heal and reflect on the things that make you happy, like a new niece to adore. Your mom will always be with you. Every time you look in the mirror you will see parts of her looking back at you. She will always be a part of you. I loved the photos you posted. And your mod outfit and haircut made me smile. My thoughts are with you, dear friend! i am so deeply sorry for your loss but you are absolutely right that death is a part of life and it is much healthier to talk about it when you need to. thank you for sharing your story and take care. You are such a wonderful writer. Sending peace, strength, and healing. I have been worried about you, and now I understand why. My heart breaks for you and your family, and I hope and pray that peace will find you. i am so so so very sorry darling. i don't even know how that must feel, but from your writing you have a deep love for her. you are so very lucky to have had a wonderful relationship with her. and this was just so perfectly written…. I'm so very sorry for your loss. My deepest condolences to you and your family. It sounds like you have a lifetime of wonderful memories to draw comfort from. I hope they bring you healing. my heart goes out to you. let the grief roll through and more joy will follow. true life is not about the death and losses, although they are acute. live and love fully, just as your beautiful mother taught you! This is a beautiful tribute to your mother. Your love for her is so obvious, and I'm terribly sorry for your loss. i just read your post with tears in my eyes. i lost my mom suddenly a little over 3 years ago. i never know which is worse….not having the chance to say all the things you want to say…or seeing the process drag out. regardless, i know your pain and your loss. i lived my grief openly on my blog and the support you'll receive from friends and readers – people you've never met before – will soothe and support you. the food will come back. this is your time to heal and grieve. all of us – all the readers of your blog – will await your healing and your return. This is such a beautiful and touching post, thank you for sharing. A beautiful tribute… In the photos, her personality really shines through with her expression and those eyes. Thanks for writing. What a beautiful tribute to your mom. I'm so glad you decided to share a little bit about her with us. My own mother died in 1998, so I understand at least some of how you are feeeling. During the times when you're dealing with those inevitable feelings of loss, I hope you can also think of the lovely memories you have of your mom. my heart goes out to you and yours. thank you for sharing words and memories of your mom, both of her struggle and of her life. folks keep on in spirit through storytelling and remembering and i know she'll live in your heart for always. hugs to you, and your family. thank you for sharing your personal grief with us and I know from personal experience it hurts but helps aswell. I know you say you don't miss her now because all you can think about is the illness, but there will come a time when you remember the good times & will miss her deeply. I go through it now, several months after losing my dad to cancer & I sit here in tears feeling your pain & wishing you strength. thanks for being so brave and sharing something so deeply personal. i hope that you feel at least a tiny bit better after writing about it. i'm sending you lots of hugs. so sorry for your loss. i've read your blog for a couple years and this is my first comment. your blog has brought so many people good eats and happiness. my thoughts are with you and may your lovely mother rest in peace. Oh hugs! You are in my thoughts and prayers! Although you don't know me I am only an email away and I too lost my Mom to brain cancer (a glioblastoma multiforme) though I lost her 2 years ago Thursday! Talking is the best thing to do – it helps! I'm so sorry about the loss of your mom. She's beautiful. May comfort surround you & your family. I'm so sorry. Your post here was beautifully written, and I admire your braveness and strength in writing it and sharing it with friends and strangers alike. May the happy memories of your mom keep you going during these difficult days. Take care. So sorry for your loss. Thanks for writing about it. I think it can definitely help to share experiences. I reread the previous post just today and thought..it's been a long time, something terrible must have happened and said a quick prayer for you. I am so sorry for your loss, I can feel your ache from your words. I cannot imagine being without my Mom and I am so glad you were with her as she passed I am sure you helped her feel at peace. I will say more prayer sand send more thoughts for you and your family. I lost my Grama almost a year ago, she was my 2nd Mom and I remember being ready to make a deal with the devil just to have her back. I still feel the ache, but it's not as constant. Hi Jeannette, I'm so sorry for your loss, and am wishing you well especially in the next little while. I'm so deeply sorry for your loss. I am also moved to tears by your beautifully written, heartfelt post, and the photos you shared. Congratulations on becoming an aunt. Take your time. We're here. Sending warm hugs and love and peace to comfort you in the days ahead. My sincere condolences. I haven't lost my mother so I can't imagine your pain, but I know the grief from losing my son and it was hard. May you find peace in the love you have for your mother. that was very touching. thank you for sharing. i have always enjoyed reading your blog. the food you make is unique. i'm sure your mom was just as unique. God is always present among us even if it's tough to see his face. Jeanette, thank you for sharing your loss with us. My deepest condolences to you and your entire family. Take all the time you need; we'll be here when you pick up the piece, or start afresh, whatever you need to do. This is such a touching post. Your maman seemed to be an amazing woman. I am very sorry for you and your family. I also want congrats on the new baby in your family. I'm so sorry. I can't imagine the pain. My own beloved mother had a stroke a few years ago and almost did not survive. I was a wreck, and even now, can't imagine ever losing her. My thoughts are with you. I am so sorry for your loss. What a wonderful tribute to your mother. Take care. I am so deeply sorry for your loss. Thank you for your openess. I will make a point to visit my own mom this week, hug her and cherish the remaining time. I'm so very sorry. You are lucky to have had a wonderful and loving relationship with her. The photos are such an awesome touch. This is perfectly written, she would be so proud. im touched by the courage and openness of this post at a time when you must be feeling such a loss. I am so sorry for your loss. So very deeply sorry. I lost my grandfather to brain tumor as well and I remember it too well. Your mother sounds like an amazing woman who left quite a legacy behind. It is nice to see life continuing with your niece. I'm sending a hug across the blogosphere. It took a lot of strength to write a post this beautiful and thoughtful. I hope that you're hanging in there. I'm very sorry for your loss. Your memories and love for her are evident in these beautiful words you've shared. I'm so sad for you and your family. What a hard thing to go through. Thanks for sharing memories of your maman with us – you're right that writing and talking about it will help get you through. Words are inadequate but I am so very sorry. I just lost my dad to cancer a month ago and am still struggling to process that. But as I've found, we are never alone in these things. I'm so, so sorry. My thoughts are with you and your family. What a wonderful thing to have a new baby in the family—the full circle of life. You have my most sincere sympathy. What lovely photos of and words about your mom. I'm so glad you decided to share them with us. What a beautiful post…your mom must have been so proud to have such a loving and eloquent daughter. I am deeply sorry for your loss. Thank you for sharing your feelings with us through such a beautiful post. You give so much pleasure to your readers by sharing your talent and love of cooking; this must have brought a great deal of pride to your mom. Take care. J, you broke my heart with your kind, sweet words and memories. You broke my heart, but I cannot begin to imagine how hurt your own is. Take care of yourself, let people take care of you and let love buffer all that other, awful sad stuff that is being flung at you. If there is anything I can do, as random as that is, let me know. I'm so deeply sorry for your loss. My father-in-law died a similar death; he too waited until the birth of his first grandchild. My sincerest condolences to you and your family for your loss. Your mom sounds like she was a lovely person and mother, and you must have made her very proud. Congrats on the new addition to your family. I can only image all the feelings going through your head, take care. I was dreading this post kickpleat! So sorry to hear about your family's ordeal. Very relieved to hear that your mom wasn't afraid of dying. Wish we all could be so at peace with that notion. Excellent that she met her grandkid, and excellent you were holding her hand when she chose to go. Thank you for sharing and being so candid. I'm sorry for your loss. At least she had you in her final hour and, as you say, she is at peace now, not suffering. That is what I told myself after my mother died of a lung disease. To say that losing one's mother is big is an understatement- take all the time you need, relish the memories. We'll still be here. thank you so much for sharing. heartfelt condolences to you and yours, as the fog dissipates. i lost my grandfather suddenly this past December, and his loss is still very fresh in my mind and heart. YES, talk about it. YES, cry it out. do whatever you need to get through this. we'll be here to read your words whenever – and whatever – you need to let them out. I'm so sorry for your loss, and think this post is a lovely tribute to your maman. May she rest in peace. So sorry. What a nice post though. Oh my goodness. So, so sorry. How can reality change so suddenly? So stunning, and so hard. I don't even know her (or you, except by your blog) but I feel like I've been punched in the stomach. I always notice how people grieve and remember the people they love. 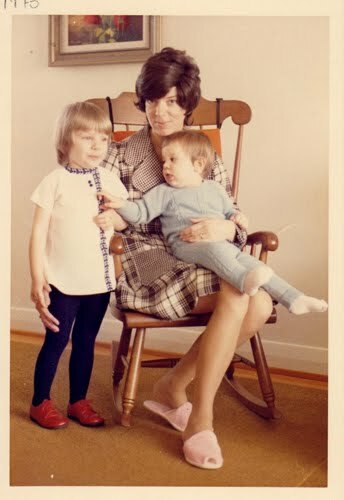 I grew up with a pretty cruel mother, and I'm always so so glad to hear that there are people in the world who have mothers that they will mourn. So, in a weird way I hope that's encouraging. As hard as it must be (I cannot imagine), part of the pain and emptiness now is because there was such life and fullness then – a life and fullness which this post tells us was precious. Your post is a lovely tribute to your mother. Thank you so very much for sharing it with us. My father died three weeks before my first child was born, and it is painful that he did not get to meet his grandchild. Thanks again. This is a very touching post, beautifully written. Thank you for sharing with blogger world. My deepest condolences to you and your family during this difficult time. This is a beautiful tribute to your Mother and thank you for letting us know her a little bit. I only know you through your writing here on this blog and through your art on etsy, but I am so deeply sorry to hear about the loss of your mother. Please feel comfortable sharing with us readers whatever stories you want to. In our own, weird cyberspace way, we're here for you. I am thinking all my best thoughts for you right now. Sorry for your loss, and I hope that you have warm hugs to fall into and all the time you need. You take as long as you want and need. Write was comes, keep what doesn't. We will all be here, holding you in our hearts. I'm so sorry. You'll be in my thoughts. Your mom couldn't have asked for a better remembrance. I'm sorry for your loss. I can't even fathom what it would be like to lose my parents or any family member. Please accept my sincerest condolences to you and your family. there are no words that will make it better, but you'll make it through. thank you for sharing…we'll be here when you're ready. Your mom sounds truly amazing. I am so sorry she is gone. Aw, Jeannette. What a beautiful and loving post. My condolences to you and your family. I go to bed with a very heavy heart tonight. My deepest, deepest sympathy to you and your family over this tremendous loss and during this difficult time. my sincerest condolences and best wishes to you and your family and you work through such difficult times. It is obvious by your writing how much love and respect you held for your mother, and I'm thankful for you ability to share that with us. Thank god for the healing and story sharing ability of food, and I hope you may find joy sharing this love your mom taught you to your nephews, nieces, and maybe eventually, your own children. My deepest condolences. I know the fog you are feeling, just a few days before Christmas my father passed away. Thank you for your thoughts and honesty. I'm so sorry for your loss. You've written such a beautiful story. I hope you're ok.
O Son of Spirit! With the joyful tidings of light I hail thee: rejoice! To the court of holiness I summon thee; abide therein that thou mayest live in peace for evermore. – Baha'u'llah. May your family and your heart have peace and love. I'm so sorry to read this sweetie. My thoughts will be with you and your family during this time. Losing a loved one is always hard, but I just can't imagine losing my mother. At least now you have a new member of the family to raise your spirits during this time. Thank you for the beautiful post, Jeanette. Thank you for sharing such a lovely post. I'm so sorry for your loss. Your family will be in my prayers. Congrats on your new niece. Oh, Jeanette. I am so, so sorry for your loss. I completely sympathize, as my husband just lost his mother (age 59) last month after a debilitating eight-year battle with bone cancer. We're also expecting a baby in May, and we were so saddened that she'll never get to meet her grandchild. In fact, she passed away one week before the ultrasound where we found out we were having a boy (which is just what she predicted!). Your post today was such a lovely tribute to your mother. Take all the time you need, and be sure to take care of yourself. So sorry for your loss and it is good that you have so many great memories of your Mom and you will always have those. Tom. I am so sorry for your loss. Your words beautifully capture the bond between a loving mother and daughter. my heart goes out to you! thank you for being brave and sharing your story. Lots of love to you, J. You're an awesome daughter. Thank you for sharing this. I think it is wonderful that you and your mom were so close– in that, you have given her the best and most cherished gift. You said yourself you are so alike; I'm sure you will find her love manifesting in you even more. Take care of yourself. It will get better. Thank you for sharing. Wishing you peace during this time. hoping you linger in or leave the fog whenever you're ready. wishing you peace. thanks so much for sharing. What an incredibly loving, considerate post this is. Sorry to hear of your loss. The painful memories do get replaced again by the more happier ones that you shared. It takes time. Blessings to you! Sending you lots of hugs and warm soup from across the country. Take one day at a time and spoil yourself with simple comforts. We'll all be here when you're ready. I'm so sorry for your loss. My thoughts will be with you. I am so very sorry. I know exactly where you are coming from. I lost my father to a brain tumor. We had 8 weeks from diagnosis until he left us. It was the hardest 8 weeks of my life, yet you managed through it for 2 and a half years. Peace and sincere understanding to you and your family. So sorry for your loss. Reading your words reminded me of losing my mom a few years ago. Terribly difficult. so sorry to hear about your loss. take your time and thanks so much for being brave and sharing. I'm so very sorry to hear about your loss. I lost my mom 14 years ago to cancer, and not a day goes by that I don't think about her. I remember holding her hand and watching her breathing stop, just as you described. And I remember struggling, at first, to hold on to the good memories- of her strong and smart and vibrant- instead of the last memories of her illness. I understand the fog you're in right now, and which you will probably be in for the next few months. Enjoy it, as things get harder when the fuzziness first goes away. And do talk about it- as much as you need and as much as you can to whomever will listen. Your sense of loss will never go away, but it can be lessened and made bearable with time,honesty and acceptance. Denial and silence only make it much much worse. So sorry for your loss. I hope you are comforted by knowing that your mom helped make you the capable person you are today. I am so glad that you were able to share those beautiful memories of your mom. I'm so glad that you shared your news with us, and I'm sending you both love and hugs from Amsterdam. Take your time. So sorry to hear the sad news about your mother. She's in my thoughts. oh my goodness, my heart is just aching for you. i'm sending you strength and a big big hug from berlin. i can't imagine what you must be feeling right now. but i'm thinking of you and wishing you all the best in this next part of life, without your mom but with all the memories of her, in your head and in your heart and in the mirror, present with you all the time. Many anonymous readers are crying with you. I am very close to my mother and can't imagine your sorrow. I am very, very sorry for your loss. have been thinking about you and wondering. all the best vibes and feelings to you and yours. your strength, love and tenderness are so evident in this beautiful post. my deepest condolences to your family. your mother sounds like an incredible woman and i love that you saw her smile in the end. xo. You don't know me at all but I feel like I know you, from reading your blog, and I want to extend my very warmest and most supportive thoughts to you during this hard time. My best friend has a rapidly progressing terminal diagnosis, and I feel your pain in watching a loved one lose those pieces that make them who they are. I am so, so sorry. Take care and be gentle with yourself for the next while. I'm so sorry you've lost your mom–it sounds, though, like you have lots of lovely memories which will hopefully help you get through this. I am sorry to hear this! My grandpop died just over a year ago and I still feel like someone punched me in the chest when I think of him and remember he is gone. It doesn't get easier but eventually you will start thinking of her as she was when she was healthy not as she was towards the end and it will be a comfort. Thank you for choosing to share this – it's a beautiful post; something more people should consider writing. Oh, Jeanette. I am so sorry to hear of your loss. You're one strong lady, and such an incredible tribute to your mom. Your love comes right off the screen. I'm so glad you were able to be there with her. Peace to you. I went through the exact same thing you did 3 years ago… For me the pain is still raw, but slowly I am replacing the images of her illness with happy memories. I think you did a beautiful thing by writting this post…good therapy. oh, I'm so sorry! I remember feeling the same way in the weeks after my dad passed… like everything had been turned on its head… thanks for sharing with us. and keep talking. it's good. blessings to you! I'm so sorry to hear about your mother's death. And I thank-you for being so open and frank about her and your experiences. I'm sending hugs and warm thoughts your way. Thank you for writing this post. It is a pleasure to read your blog. Sending you a hug. I'm sorry, there are not a lot of things as hard as this. I lost my dad when he was 52, nine years ago now, heart attack out of nowhere. The best thing anyone said to me at the time was that nothing will be the same now, there's before it happened and after it happened. Eventually it hurts less, but that's it. It sounded harsh, but it was comforting, and ultimately, true. I gave birth to my son the day after the anniversary of his death… it is funny how these things connect. I have tears as big as canon balls right now reading this. I have not lost my mother but I lost my brother a few years ago and your post made me think of the day we said goodbye. All my love and deepest thoughts to you and your family. Congrats on the new baby too. What a beautiful tribute you've written. Thinking of you during this difficult time. I am truly truly sorry for your loss. I hope your mother is at peace wherever she is now. Take care of yourself. Sending you lots of hugs and warmth. Losing a parent feels like losing a limb. I think it's important to remember her when she was well. We are very sorry for your loss kickpleat.Thank you for sharing a little bit of your maman with us. Please take care. I'm so glad that you did write about your relationship with your mother, and of her death. I appreciate it very much. I feel that being with someone you love, when they die, is as much of a privilege as being there for a birth. It's a sad event but it is such a powerful transition. My mother is alive but I have a similar relationship to her as you describe having with your mother. Your experience makes me want to go and see her and hug her close. Thank you for sharing, and although I have never met you, reading your blog makes you feel like you are part of my community. You are in my thoughts. I am really so very sorry for your loss. What a beautiful posting about your Maman, you are incredibly strong and brave. I read your blog all the time and love your casual healthy attitude about food. I now see that you carry this same attitude throughout all aspects of your life. My thoughts are with you and your family. I'm so sorry for your loss. I knew something was wrong from your last entry. Thank you for sharing. I'm sending good thoughts and wishes. That was so beautifully written. I'm so sorry for your loss. I'm deeply sorry for your loss. I can't stop crying. Thanks for sharing your story. Take all the time you need. I too add myself to the list of people who wish to say they are sorry for your loss. I'm in a similar situation with my mom, who has COPD and I live far away. It is a slow going-away of her from my life. Hard to accept, and yet there it is. You talk about it all you want. I do the same. Some people listen; others avoid me now. You're brave and I'm full of hope for you. You're a great role model for me, when I lose my mother, which will be soon enough. jeannette, i am so sorry about the loss of your mother. i am glad you were able to be with her and i am glad she was able to experience a new part of your family. keep talking. keep breathing. and take all the time that you need to – however you need to, to process all of this. she's with you. she always will be. while i know i already sent my love on lj, i just wanted to tell you that this post is incredible. it is sad, yes, but the love radiating from it is overwhelmingly moving and beautiful to me. what a tribute to your mother that she produced such an amazing, thoughtful woman. I'm soooo sorry and moved by your story of the loss of your mom. My heart goes out to you… I lost my mom when I was only 20 years old. You were so lucky to have her as long as you did. Take good care of yourself. I'll be holding you in my thoughts and in my heart. I'm so sorry for your loss. I wanted to be among the many who wrote to say that this post was so touching and so beautifully written. I'm glad you chose to share with us a bit of your Maman. I feel like I have caught a glimmer of her spirit. I marvel at how a woman can look so stylish and put together while holding a baby and wearing pink slippers! I am so sorry… but thank you for sharing this story with all of us! So sorry about your loss and my deepest condolences to your family. Your post was very heartfelt and brought tears to my eyes. I wish the best for you and your family at this time. a lovely tribute to your maman. "What we know is not much. What we do not know is immense." ELS – Take care of yourself and your family. We will all be here waiting for you if you need us. I am so very sorry, my grandfather passed of a brain tumor as well. He was the math guy. He could think numbers like others can think words. Then, one day, my mother and he were playing cards and he didn't know what the numbers meant. Perhaps your mother was making room for this new baby? I am so sorry for your loss, and I am sending thoughts and prayers for you and your family. I am sure your Mum is at peace now, watching over her brood and willing you all to remember the good things. Take care of yourself and take the time you need to start healing. I'm so sorry for your loss. I was really moved by your memories of your mother and I know that she will live on in your cooking. I am so sorry to hear about the loss of your mom. I had no idea she was ill or that your trip involved going to see her because of her illness. She sounded like a wonderful woman and what you have written here is a beautiful testament to her life. And I'm glad your she got to meet her granddaughter. My Dad, my adopted Dad, passed away just over 2 years ago from alzheimer's. His too was a long, drawn out illness involving the worst of deteriorations of mind and then body. I didn't have as strong of relationship with him, as my adopted parents divorced when I was 8, but I was with him in the end and it was so very sad. The fog you are in is part of the grieving process. It takes time get through it, and everyone experiences grief differently. I am still grieving the loss of my 15 year relationship that ended a year and a half ago. Some days I see no end to the grieving, and then other days there a glimmer of a new future on the horizon. But I'm like you, in that I prefer to box things up and keep them private. But it's good to talk and share, this I am learning. i came for the recipes, i stayed for the wonderful way you have with words. your language brings life to your recipes. and thanks for sharing your memories of your mom. dwell and talk, You will be the better for it. She will always live in your heart, you will make room for her there, as you talk and share and heal. Thank you for sharing your mother's story with us. She sounds like she was an incredible woman. Take all the time you need. My thoughts are with you in this time of sorrow and healing. Your mom was lucky to have you as a daughter. What a beautiful post. Thank you for sharing this story with us. All my best wishes to you and yours. It sounds like you're all going to be okay. my mom died on 22nd of january, also cancer.After 5 years of hard fight. During this time, I have read regurarly your recipes, because i love cooking too. My mother teach me to love some brilliant and daily things as cooking, as your mother. Today I read your post, here in Tarragona (Spain) but I'm feel nearest of your feelings and thougts. I hope that you and me, after hard times, we cant cook happilly. LOTS OF LOVE AND EMPATY. Sending blessings of comfort and peace to you and yours. Thanks for sharing your beautiful sentiments about your lovely mother. I always read blogs for the pretty food pictures and the delicious recipes, but never to have my heart touched. That just changed. Your writing brought tears to my eyes and they rolled down my cheeks in hot, watery streams. The picture of your mother in her slippers is so perfect. When your pain dulls, may you be filled with wonderful memories of your loving mother. I just came across your blog while on Julies blog . Tears are rolling down my cheeks for your loss, I am so sorry . I can't imagine loosing my mum who is 89 and such a huge part of my life. After loosing my dad I felt that for a long time the world just wasn't the same. But now I just remember who he was and his character without the huge sadness. You will too one day I pray. Take care. I can't even begin to tell you how sorry I am for your loss. Your story makes me think about my mother and her father. He passed away 5 years ago from a brain tumor. It originated as melanoma and then went into his brain. He went very quickly, in fact is was only a matter of weeks from the time he realized something was off. My mom was a daddy's girl and it broke my heart to see her lose him. It still breaks my heart to know that she misses him so much. My thoughts are with you and your family. Please give yourself time and thank you for sharing. Sometimes it is just nice to know that you aren't alone out there. I am sorry for your loss; you wrote a lovely tribute to a great woman who meant a lot to you. I find that over time, your memory of your mom will be the ones of her in better health and happier times. All my best to you and your family at this difficult time. Your post is lovely, keep on writing until you don't need to anymore. My deepest sympathy's to you and yours. Jeanette, I'm so sorry to hear of your Mom's passing. It's such a hard thing we have to go through, but in the end, we are much better people for having known them. Thank you for opening up about this. It is something that most people shy away from, but when you've experienced it, you have to get it out; describe your thoughts, feelings, the hurt, because it is so unreal. Verbal expression is almost not enough. Words cannot express what you must be going through right now, but you did it beautifully in your post. Your sense of loss and pain is palpable. Thank you for sharing this and your thoughts with us. I must admit, as i write this I am crying… what you expressed took me right back 3 1/3 years to when my Dad died (slowly) from Cancer. Thank you also for sharing your family photos, your Mum looked like such a warm person (and I love your red shoes!). Take care of yourself, be mindful, ask for help if you need it! I am so sorry for your loss. A big warm hug for you! Sorry to hear of your loss. Indeed it's good to talk about it. Take care. I'm so sorry for your loss. My thoughts and sympathy are with you and your family. I'm so sorry for your loss. A very brave post and beautifully written, thank you for sharing. We do not know each other, but I know your deep grief, your missing of your Mom that is so deep and that changes everything. I lost my beloved Dad almost 2 years ago. It is so very hard to let go, even when it is time for them to leave. I'm so sorry about your mother… she is now at peace and hopefully you will come to be at peace with this too. I never leave comments on your blog but it is my most favorite of all cooking blogs. I kind of consider you my Canadian neighbor, and I your Seattle cousin. I love soup, you love soup, it's pretty much ideal. I knew something must be wrong in your world when I hadn't seen any posts from you in a while. I am so sorry. Although I cannot imagine losing a parent I know I eventually will have to. I can only hope that I will express my loss to others as articulately, as thoughtfully, as tenderly and as lovingly as you just shared your mother with us. Congratulations on becoming an aunt. As a loyal long time reader (and neighbor! ), I look forward to your triumphant return to cooking. But in the mean time, I hope you take as much time as you need. We don't always need recipes, many of us are invested in you and your life just as much as your food. your mother was beautiful. thank you for sharing this and for letting us know how wonderful she was. i'm sorry for your lost, and happy for your newest addition to the family. keep writing, keep talking, as much as you need to. we'll be here. I am so very sorry for your loss. Please take care of yourself and allow yourself to do whatever you need to do to grieve. sending postive engery your way. I am so sorry for your loss. make sure to take time for yourself and time to grieve. do whatever you need to do for yourself. I am sending positive energy your way. Lovely tribute to a life well lived. My very best wishes to you and your family. So sorry for your loss. Glad that you did share…hopefully it helps in the processing. So sorry about your mom. My mom died almost exactly one year ago and I could relate to your post. We were very close, talked every day (although we lived far away). She was my best friend. It's been a difficult year, I think about her all the time. There's definitely a void that no one else can ever fill, but with time it does get a little easier. Take care of yourself, just as your mother would want you to do. You are such a strong person to be able to write this post and share it with others. After reading this story, I prayed for your mother's spirit and hope that your family will be surrounded by blessings. Although it is hard for us left here on Earth to understand, death brings people to a richer and relaxed state. Take pride and know that you and your family are blessed with the memories that you have of your mom. Take comfort in the fact that she can see and feel more of you than she has before. Continue with all of the passion that your mom has passed down to you and make her proud! I'm sure is smiling at you even now. Oh I am sorry. So, so, so sorry. I know what a loss like this feels like. Please keep talking. I am very sorry to hear about your mom. When you return I would love for you to join me at Top Notch Eats. I love the style/content of your blog it is so well done…. beautiful post, you are in my thoughts and prayers. Oh, Jeanette, I'm so sorry. Thank you for being so brave and vulnerable, and inspiring me even in this very difficult time. If you ever need anything, I'm just a couple of blocks away. What a lovely post, such a sweet and caring tribute to your Mamam. I hope you find some comfort in all the love sent your way through the many comments from your readers. I'm so sorry to hear about the loss of your mom..a very moving post. I can't imagine what you are going through but I hope that your days become lighter. When it's someone so close, sometimes it takes a while for the loss to sink in. You should surround yourself with love and lovely memories of her. May you find strength to help you through this difficult time. Aww, I am sad to hear of your loss. I stumbled upon your blog most likely from another foody one some time ago and check in occasionally. I lost my Mom to cancer in 2004 and still miss her terribly. She too, was brave and tried new treatment til the end. It will take a while, you will feel empty. Keep talking though, it's important to do that, and it's ok to cry and talk some more, so we never forget. Take care of yourself and enjoy the new little life as well. Hugs from MN. Very sorry to hear about your loss. My thoughts are with you. Can I just say… and this is the first time I've ever read your blog, not even sure how I found it, but… thank you. My heart is sad for you, and I can't say I know how you feel, but some sad day I will. I think the best healing is knowing that there is love out there, and shared experience both good and sad. Your post about your truly lovely mother inspires me to be the kind of mama that maybe someday my daughter will write beautiful things about. My thoughts are with you. I'm so sorry for your loss, but your post was beautiful and touching. A beautiful post. I feel the love. And really, what better legacy is there? I'm so sorry for your loss. What a Beautiful tribute to your Maman! I so sorry to hear about you mom. I know life will never be the same for you but you inspire so many I know your mom is proud of you. I never comment her, but thank you for sharing. I'm so sorry for your loss. This was such a heartfelt post, it made me tear up! My thoughts are with you and your family. so sorry. I hope sharing your sadness helps. I agree that death shouldnt be something that we avoid discussing. No one can explain away your own grief experience. My two cents of advice – after going through a similar experience – is to embrace every single emotion, expect it to be bad for more than a little while, and hold on to the tiny sliver that lets you know that someday it will be less hard. Take care. Hi, I've been reading your blog for quite some time now and have always enjoyed it but never felt the urge to comment until now. This post brought tears to my eyes. You wrote about such a sad topic in such a beautiful way. I am so sorry about what you are going through, but thank you for sharing such heartfelt words with us. Bend low, O dusky Night! May you always remember when love was loveliest. I'm so sorry for your loss. You are in my thoughts and prayers! I've been a long-time reader of your blog. My mom passed away on Jan 8th. When I saw your hiatus post, somehow I had a feeling you were going through something similar. Just wanted to let you know that I am so sorry for you loss, and to thank you for sharing your thoughts and feelings so honestly and beautifully. I am so sorry to hear of your loss. 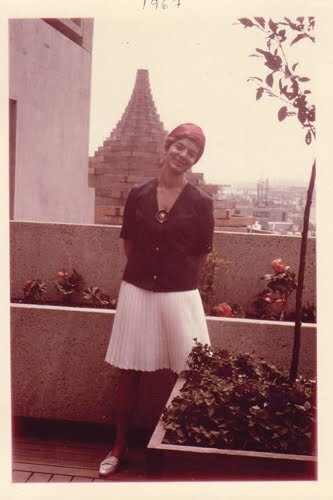 My Mother died in 1976 which is so many years ago but every Feb.1 I think of her specially as that was her birthday. I have only recently found your website but I am drawn to its down-to earth approach. Take care and treasure all that you remember. Thank you for sharing a beautifully written post about your maman. I'm guessing that she was very proud to have such a talented and loving daughter. My deepest sympathies to you and your family. Time will help the process. Take all that you need. I send you a big hug from Argentina. Oh Jeanette. I've been wondering about you and your mom. I just got back from vacation and read this post first thing. I'm so sorry. You have captured a difficult thing and difficult to describe emotions just beautifully. Thank you. Jeanette — I am sure there is nothing new I can add or say to make you any less sad. I do want to share that I lost my mother suddenly when I was a senior in high school. I still miss her everyday (it has been 19 years) but over time was/is able to remember her in healthy good times. Now that I am a mother I wish I could call her to ask all types of parenting things. I can't do that, but I can learn from how she raised me and my brother and sister. I think she did a pretty good job. From what I know of YOU (and feel lucky I got to have coffee with you almost two years ago), YOUR mom did an amazing job as well. Stay strong and know that many people are sending their thoughts and prayers to you and your family. So sorry for your loss and so touched by your post – I can't imagine how difficult it must have been to write, but if it has helped you in any way, then that can only be a good thing. Take care. I lost my mom two years ago last week to cancer . . and this post made me cry. It gets easier but the hole hasn't sealed over yet. I wasn't with her when she died, (she lost conciousness the day after I left Saskatchewan to return to Ottawa; my sister was with her in her last weeks of life.) I just wanted to tell you that it gets easier. Love. Life is funny that way, i too gave birth to baby xen the same week that my grandmother was admitted to the same hospital…she saw the baby only once before she died but i kind of think she was holding out to see her. this is so utterly heart wrenching…even for me…a complete stranger. i am so very sorry for your loss. I'm so sorry to hear about your mother's death. It hurts to loose a parent, but I'm sure your memories of your healthy mom will stay with you forever. I am so sorry to hear of your loss. Your mother's strength of spirit shines in these photos. What a lovely woman; you favor her A LOT. I hope time will ease your heart. I'm so sorry for your loss. you wrote this post with so much strength and elegance. Your story of your "Maman" is so beautifully written and moving. Thank you for sharing, and I hope with time, the pain will fade and more of the brighter older memories will come to the fore. I'm so sorry for your loss. I held my mom while she died almost 6 years ago. The pain fades, and it's good to know she's free, but it's so hard for us left behind. My deepest condolences and you wrote a lovely, lovely post about your Mum. I'd like to thank her for teaching you to cook and thus sharing all that you do here. Writing will help. Hugs from New West. How wonderful that your mother got to see her grandbaby! Thank you for sharing such a personal post. Sending you virtual hugs. I cried reading the blog. I am glad your mama got to see the bundle of joy before she had passed. You have good memories of her and you can share good stories of her. I came to your blog via Readymade, all ready to greedily gobble up some recipes & here you have shared this beautiful story. I cried while reading the entire post. Your mom sounds very similar to my mom (she taught me to cook & sew & knit) & she is one of my best friends; I would be completely lost without her. I'm so sorry for your loss & I send you virtual best wishes from the Prairies. Of course you are missing her right now, and you always will, but your mom has given you many beautiful gifts, two being your love of life and your love of food. You can honor her every day by being the best you possible, and in a tiny way, she will always live on through you. Really sad to hear of the news. Roger and I are both sorry for your loss and send our warmest hugs and condolences. Let us know f you need anything. I'm so sorry for your loss. It's so hard to lose somebody so important to you. I just want to say how sorry I am about your mom. I think that was really courageous of you to write about this here, so openly and beautifully. xo. I am so very sorry for your loss. I visit your blog from time to time and knew you were on hiatus, and on this visit I scrolled down the more recent posts hoping to see the post of you coming back and hopefully with good news. I was so so sad to hear of your loss and was crying when I read your post. Thank you for sharing it though. I am glad you got the chance to be with your mom when she passed. I'm sure she is very proud of you. Take care and my condolences to you and yours. dear jeannette, sincerest sympathies on the loss of your mom. Hello, I have never visited your blog but decided to have a little read and decided I would read yours. I am sorry to read that your mother has passed away. I loved the things that you said about her. They are so loving and touching. My mother passed away in 1997. I still miss her all the time but I love remembering things about her. Unlike some people who can not or do not want to talk about losing their mother, I seem to love to talk about her. Everyone is different. I just don't want to forget the love and laughter she gave to me. I send you good wishes from a far away stranger! I haven't been around to your blog in a while and I only saw the post about your mother now. We don't know each other, all the interaction we ever had was a few comments I left on some of your posts. Yet, I want you to know that my heart goes out to you and your family. I say a prayer right here and now, asking god to help you bear the pain and the sadness. Take care of yourself. I just discovered your blog, although Kickpleat sounds familiar and I’m wondering if your blog used to have a different name? This was the second post I read. It was so touching, honest and a wonderful tribute to your mother.